Full engine rebuild under progress right now. Bottom job just completed. Chaos is a beautiful example of a true Custom Carolina express. Built less than 20 miles from where she has been kept since new, she has the Carolina attitude in her blood. This is the best combination of a big boat ride in a small boat package. 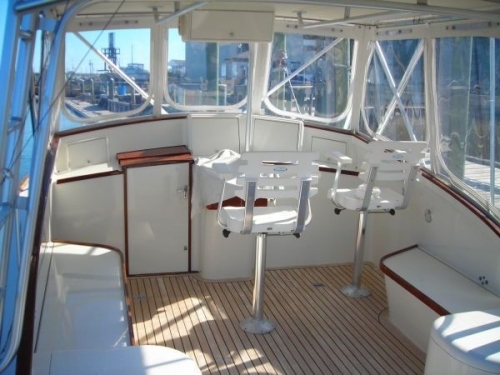 This is a great opportunity to own a no frills cold-molded sportfishing boat at a great price. Diesel efficiency this a great way to enjoy an incredible ride without killing the wallet. Chaos shows her true Carolina heritage while your standing at her centerline helm with a teak helm pod and single lever controls. 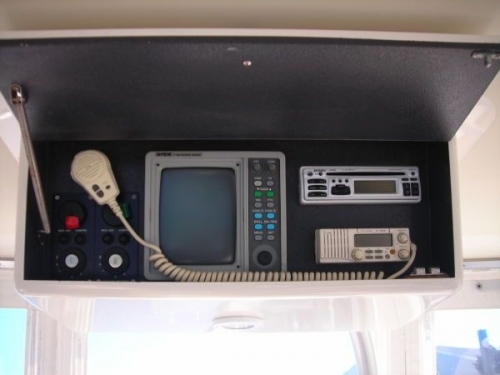 Forward of the helm are built in boxes to keep your electronics protected when not in use. 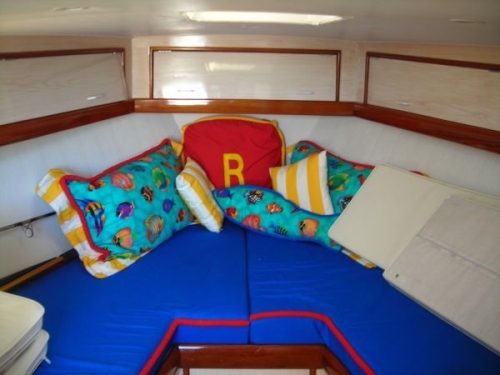 Bench seats on either side of the helm provide sufficient seating for all your friends on those off-shore runs. Teak decks in the helm and cockpit help illustrate her Carolina lines. 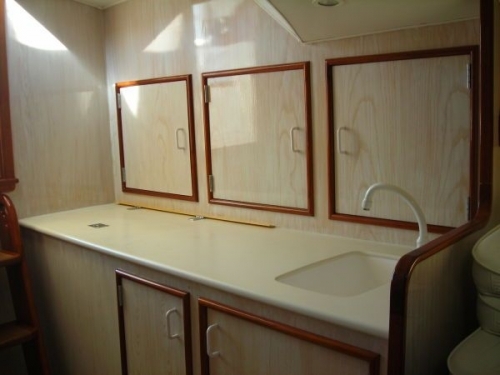 Under the bench seating are insulated storage, and a transom mounted fish box provides plenty of room for a day’s worth of fish.